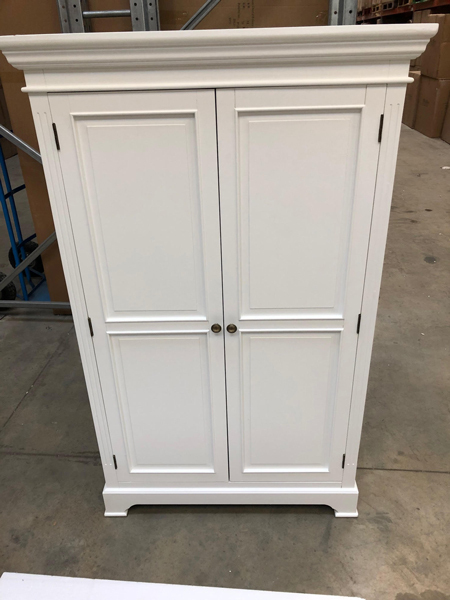 White Linen Closet/Low Wardrobe - Daventry White Range DAMAGED SECOND 1048 Each piece from the Daventry White range has a satin finish, grooved detailing and rounded brass style handles. 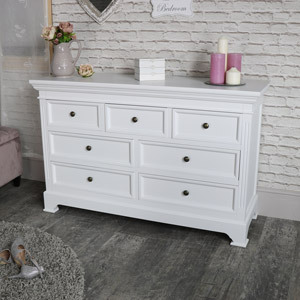 There is an extensive selection of matching items available in this range so you can complete your entire home with this beautiful furniture collection. 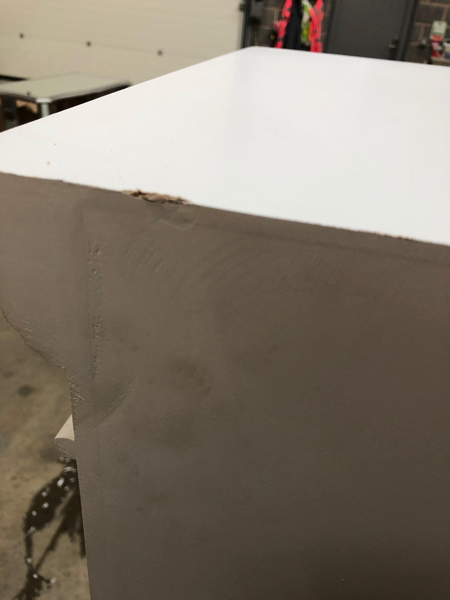 Each piece is crafted with care from high quality materials and finish to perfection. 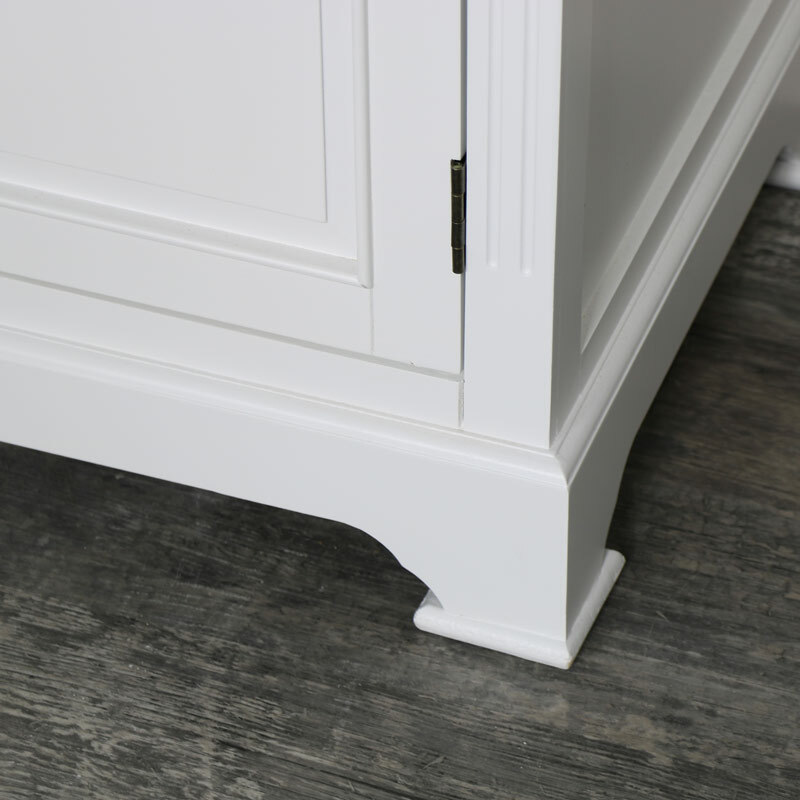 Not just for the bedroom, this unit can also be used in a utility room as laundry storage. 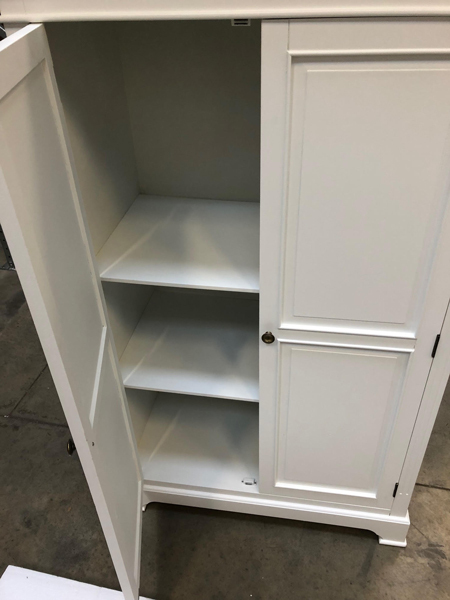 With up to 3 shelves for using to store laundry or cleaning products and accessories making it a very versatile piece of furniture. 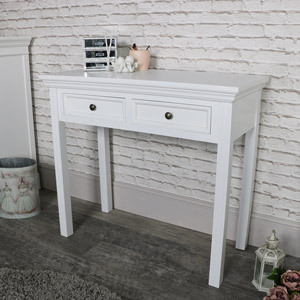 Each piece from the Daventry White range has a satin finish, grooved detailing and rounded brass style handles. 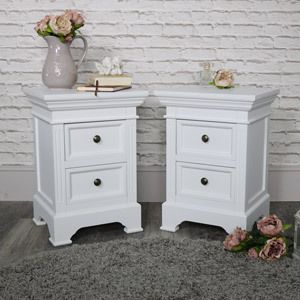 There is an extensive selection of matching items available in this range so you can complete your entire home with this beautiful furniture collection. 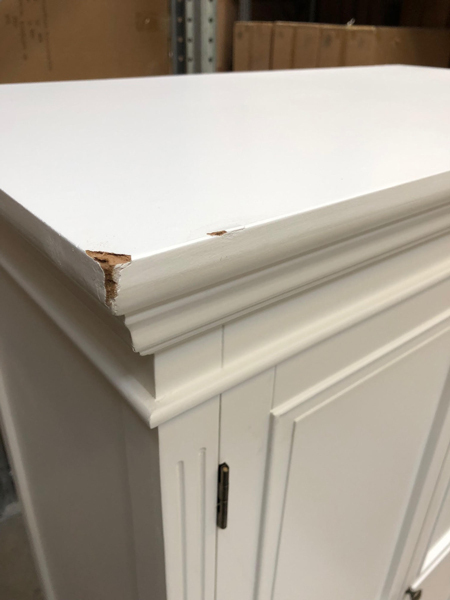 Each piece is crafted with care from high quality materials and finish to perfection. Not just for the bedroom, this unit can also be used in a utility room as laundry storage. 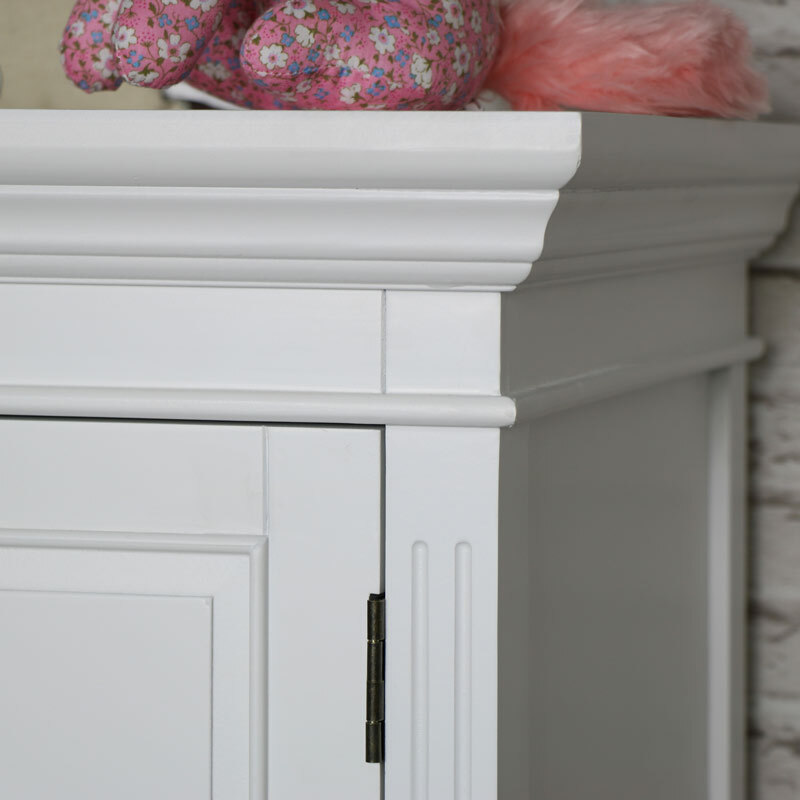 With up to 3 shelves for using to store laundry or cleaning products and accessories making it a very versatile piece of furniture. 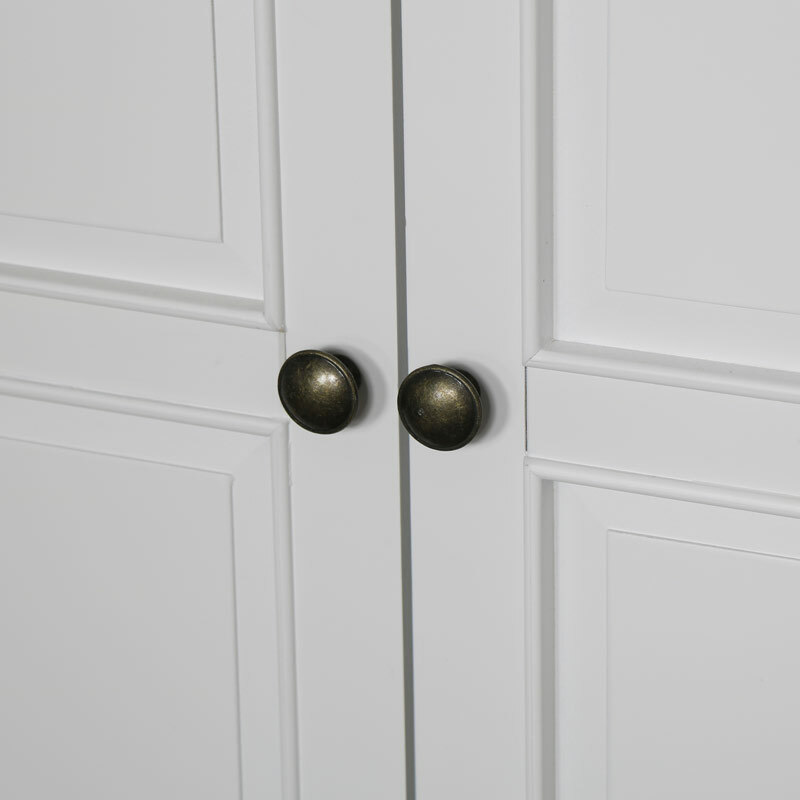 Constructed from wood and painted in white with both doors fronted with a round brass door handle. 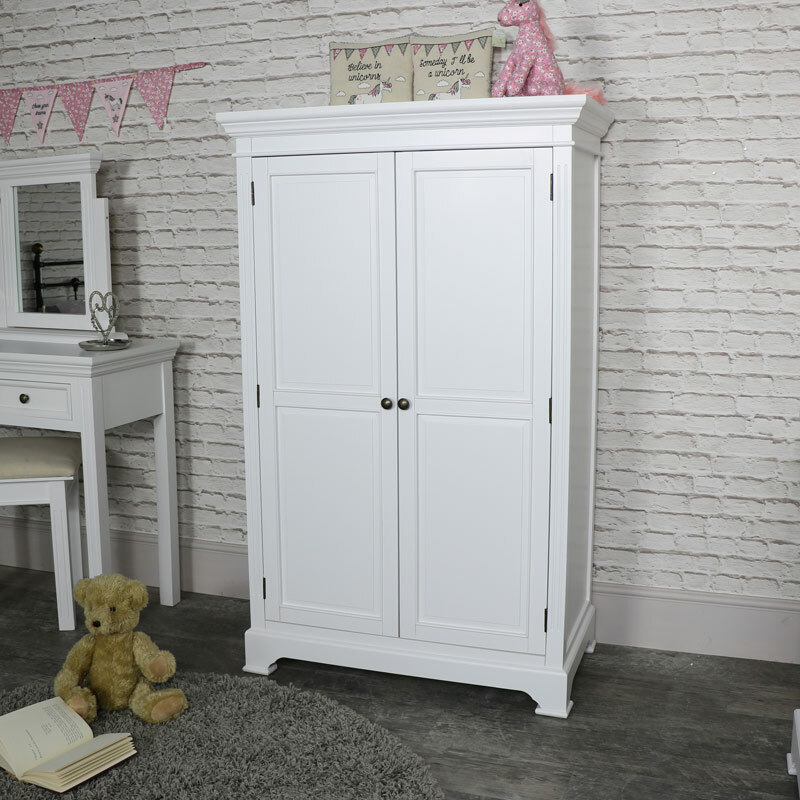 The Daventry White closet/wardrobe also comes fully assembled, so no need for fiddly instructions and time spent putting it all together, just unbox and place where you want. 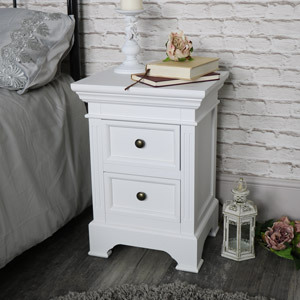 In a sturdy design that is the perfect combination of practicality and style, this will sit beautifully in a bedroom. 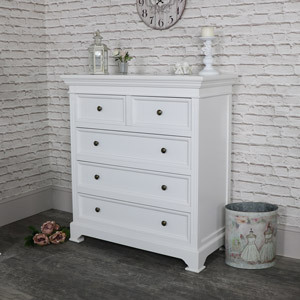 We have several more pieces of furniture available in this range that will allow you to fully furnish your bedroom, offer the best storage and add a fresh new look to your home.